Pagan was probably built sometime in the mid 1950's and was called Lightning, the original owner is at this stage is unknown. 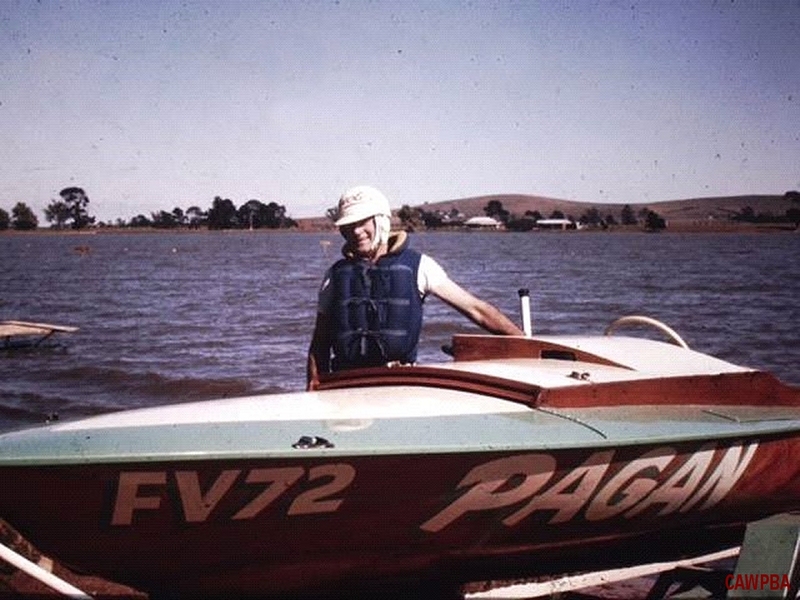 It was purchased as a bare hull by Earl Webster from Ballarat around 1958/59 and fitted out with a Holden grey motor and campaigned around Victoria until the early 70's, apparently with limited success. From there Pagan vanished until 2012 when it appeared for sale on Ebay. I purchased the boat in 2013 and set about righting the wrongs of past owners. The Holden grey motor had been removed and a highly modified Vanguard engine had been fitted, probably to run in a different, less competitive class. My first outing at Ballarat's Lake Burrumbeet showed plenty of potential but also how much work would be needed to get Pagan to run right! Features of the Vanguard engine are the fitting of the quad Amal carbies on hand made manifolds and the use of a rare magneto from a Massey Ferguson hay baler. 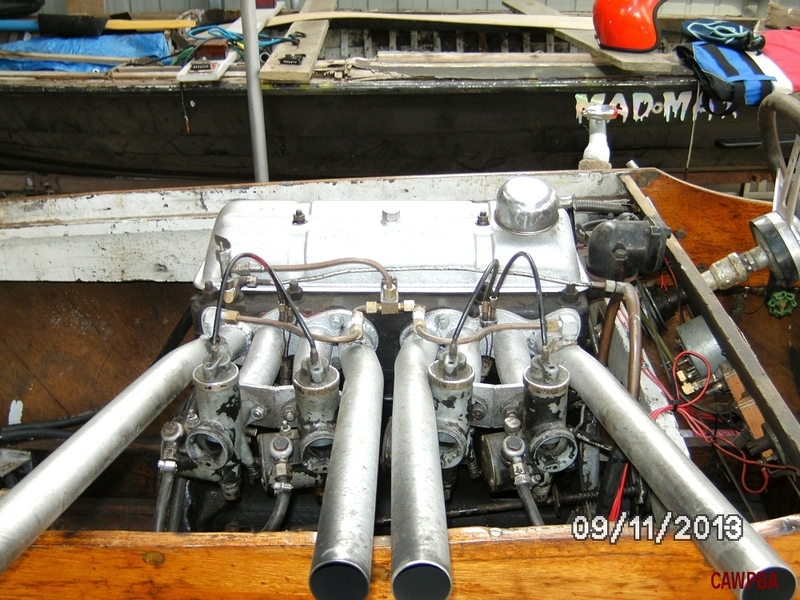 Internally, the engine is standard except for the head being ported and polished and fitted with Holden grey motor valves and double valve springs. The power is fed through an antique chain driven V drive to a two blade race prop. I pulled the mechanicals out of Pagan in 2014 and gave it a good cleanup and several coats of clear to help protect and preserve the unique hull. 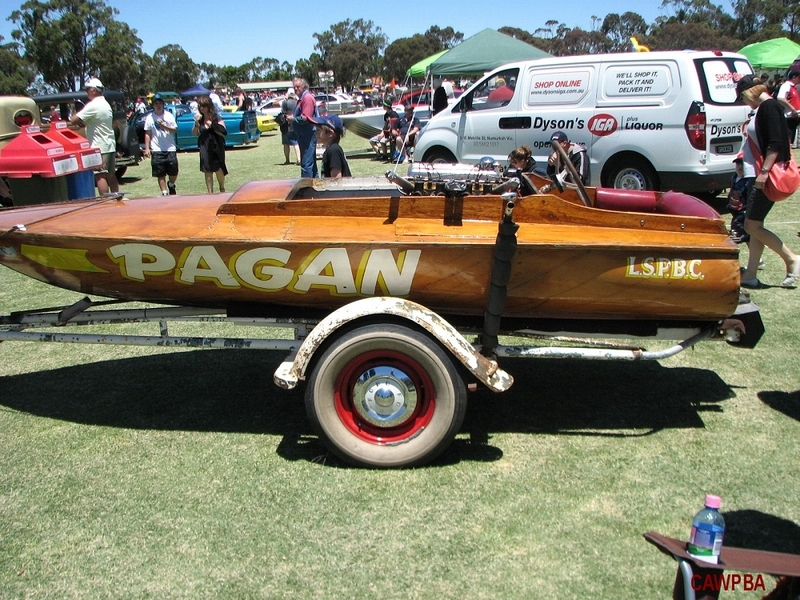 Pagan is made of steam bent diagonally laid ply in a process called cold moulding and is a very unusual race boat. It is in excellent condition for it's age and still very raceworthy. 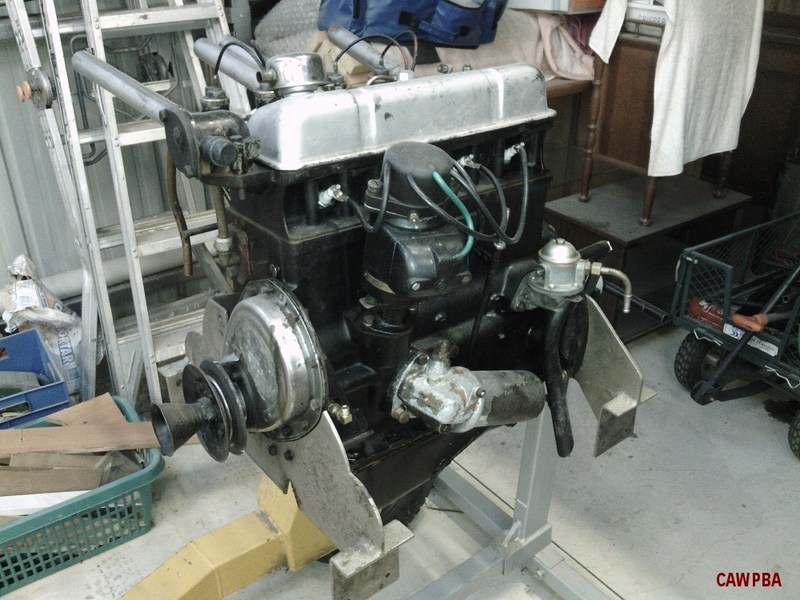 The engine was fitted with a new crankshaft and bearings while it was out as well as being given a good cleanup. 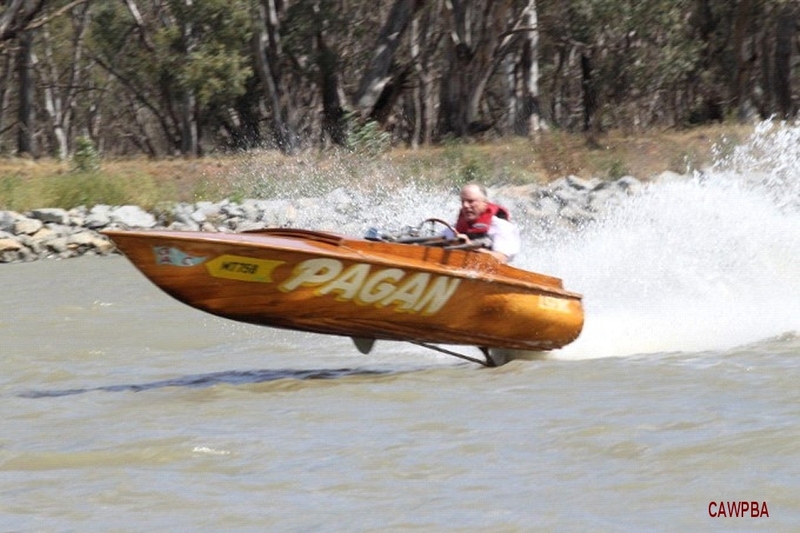 While not as quick as some of the more modern skiffs, Pagan is still an exciting boat to drive and can still muster a good turn of speed! !